From the CMO down, marketers are always challenged to do more with less across multichannels, including trade shows. 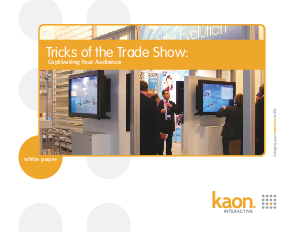 Virtual marketing technologies engage booth prospects and enable them to show virtual products in an interactive way. This also reduces costs by eliminating the need to ship products and printed materials.